TLJ Daily E-Mail Alert No. 2,100, June 23, 2010. June 23, 2010, Alert No. 2,100. 6/23. The U.S. District Court (SDNY) issued an opinion and order [30 pages in PDF] in Viacom v. YouTube, granting summary judgment to the defendants. The District Court held, on cross motions for summary judgment, that the activities of YouTube at issue in this action fall within the safe harbor protection of the Digital Millennium Copyright Act (DMCA), codified at 17 U.S.C.§ 512(c). Background. Viacom International and others filed a complaint [PDF] in the District Court against YouTube on March 12, 2007, alleging copyright infringement in connection with the operation of a commercial web site that permits users to publish copies of copyrighted works, without license. See, story titled "Viacom Files Complaint Against Google and YouTube Alleging Violations of Copyright Law" in TLJ Daily E-Mail Alert No. 1,551, March 13, 2007. The six count complaint alleged direct infringement by public performance, direct infringement by public display, direct infringement by reproduction, inducement of copyright infringement, contributory copyright infringement, and vicarious copyright infringement. Google, owner of YouTube, was also named as a defendant. The Court wrote that YouTube operates a website "onto which users may upload video files free of charge. Uploaded files are copied and formatted by YouTube’s computer systems, and then made available for viewing on YouTube." Viacom International Inc. is a large television, movie and digital media content company whose copyrighted works are copied and published in the YouTube web site. The plaintiffs are Viacom, and its affiliates, Comedy Partners, Country Music Television, Inc., Paramount Pictures Corporation, and Black Entertainment Television, LLC. Statute. Section 512 of the Copyright Act, which was enacted in 1998 as part of the DMCA, pertains to "Limitations on liability relating to material online". infringement. Finally, subsection 512(c)(3) lists the requisite elements of claims of infringement. District Court Opinion. The District Court wrote that the "defendants designated an agent, and when they received specific notice that a particular item infringed a copyright, they swiftly removed it. It is uncontroverted that all the clips in suit are off the YouTube website, most having been removed in response to DMCA takedown notices." business day YouTube had removed virtually all of them." The Court did not address how efficiently the DMCA regime works for individual and small business copyright holders who, unlike Viacom, lack the resources to continuously monitor, and submit claims of infringement to, the multitude of web sites for user posted content. The Court stated that "the critical question is whether the statutory phrases ``actual knowledge that the material or an activity using the material on the system or network is infringing,´´ and ``facts or circumstances from which infringing activity is apparent´´ in § 512(c)(1)(A)(i) and (ii) mean a general awareness that there are infringements (here, claimed to be widespread and common), or rather mean actual or constructive knowledge of specific and identifiable infringements of individual items." Following a lengthy review of the legislative history of the statute, the Court concluded that "the phrases ``actual knowledge that the material or an activity´´ is infringing, and ``facts or circumstances´´ indicating infringing activity, describe knowledge of specific and identifiable infringements of particular individual items. Mere knowledge of prevalence of such activity in general is not enough." The Court added that "To let knowledge of a generalized practice of infringement in the industry, or of a proclivity of users to post infringing materials, impose responsibility on service providers to discover which of their users’ postings infringe a copyright would contravene the structure and operation of the DMCA". The Court also relied upon the U.S. Court of Appeals (9thCir) 2007 opinion [29 pages in PDF] in Perfect 10 v. CCBill, 488 F.3d 1102. The Court of Appeals wrote in that opinion that "The DMCA notification procedures place the burden of policing copyright infringement -- identifying the potentially infringing material and adequately documenting infringement -- squarely on the owners of the copyright. We decline to shift a substantial burden from the copyright owner to the provider". The Supreme Court then denied certiorari in that case. See, story titled "Supreme Court Denies Certiorari in Perfect 10 v. CCBill" in TLJ Daily E-Mail Alert No. 1,683, December 5, 2007. The District Court also cited as authority for its holding UMG Recordings v. Veoh Networks, 665 F. Supp. 2d 1099 (C.D. Cal. 2009) and Corbis v. Amazon, 351 F. Supp. 2d 1090 (W.D. Wash. 2004). MGM v. Grokster. The Court also discussed the Supreme Court's June 27, 2005 opinion [55 pages in PDF] in MGM v. Grokster, regarding vicarious copyright infringement by the distributors of peer to peer (P2P) systems. The Supreme Court held that "one who distributes a device with the object of promoting its use to infringe copyright, as shown by clear expression or other affirmative steps taken to foster infringement, is liable for the resulting acts of infringement by third parties." See, story titled "Supreme Court Rules in MGM v. Grokster" in TLJ Daily E-Mail Alert No. 1,163, June 28, 2005. The District Court wrote in the present opinion that Grokster involved peer to peer file sharing networks "which are not covered by the safe harbor provisions of DMCA § 512(c)". Rather, Grokster, "addressed the more general law of contributory liability for copyright infringement, and its application to the particular subset of service providers protected by the DMCA is strained". Finally, the Court wrote that "The Grokster model does not comport with that of a service provider who furnishes a platform on which its users post and access all sorts of materials as they wish, while the provider is unaware of its content, but identifies an agent to receive complaints of infringement, and removes identified material when he learns it infringes To such a provider, the DMCA gives a safe harbor, even if otherwise he would be held as a contributory infringer under the general law." Reaction. Ed Black, head of the Computer and Communications Industry Association (CCIA), stated in a release that "This is a good but not surprising decision. YouTube and other online platforms have bent over backwards to accommodate rightsholders, going well above and beyond what is required by the law." Black continued that "Today, platforms for user created content are so aggressively responding to the every demand of copyright holders that even presidential candidates of all political stripes have been swept up in the copyright dragnet. Online intermediaries respond to allegations of copyright infringement very seriously, even when those claims wind up curtailing free speech or the fair use rights of third parties. Certain rightsholders ought to devote the same attention to not stifling expression online." Sherwin Siy of the Public Knowledge (PK) stated in a release that "We are very pleased with the outcome of this case. It shows that the current structure of copyright law works well for even the largest of content-hosting sites." Siy continued that "the burden to point out allegations of infringement is with the content provider, and the burden of taking down material lies with the service provider. Had Viacom won this case, that burden would have shifted dramatically. As the law now stands, prompt compliance with take-down notices shields an online service provider from liability." He concluded that "the current law is working quite well to protect content creators while taking into account the responsibilities of online service providers". The Center for Democracy and Technology's (CDT) David Sohn stated in a release that this "decision isn't just about YouTube ... Without this decision, user generated content would dry up and the Internet would cease to be a participatory medium." This case is Viacom International, Inc., et al. v. YouTube, Inc., et al., U.S. District Court for the Southern District of New York, D.C. Nos. 07 Civ. 2103 (LLS) and 07 Civ. 3582 (LLS), Judge Louis Stanton presiding. 6/23. The House Judiciary Committee (HJC) amended and approved HR 5503 [LOC | WW], the "Securing Protections for the Injured from Limitations on Liability Act" by a roll call vote of 16-11. Supporters of the bill stated that its addresses oil spill liability. This is not a a technology related issue. The bill also broadly revises maritime law. However, this too is not technology related either. The bill also creates an exemption to the Class Action Fairness Act of 2005 (CAFA). To the extent that the Congress enacted the CAFA to address the problem of meritless class actions lawsuits brought in class action friendly state courts, including actions against information technology and communications companies, HR 5503 is technology related. The CAFA allows defendants to remove certain large interstate class action cases to federal court. It also addresses certain abusive practices in class action litigation, such as payment of higher awards to class plaintiffs in closer geographic proximity to the court, and the award of cash attorneys fees to class counsel while class plaintiffs receive only coupons. The Congress enacted the CAFA in 2005 as S 5 (109th Congress). It is now Public Law No. 109-2. See also, story titled "Bush Signs Class Action Reform Bill" in TLJ Daily E-Mail Alert No. 1,080, February 18, 2005. 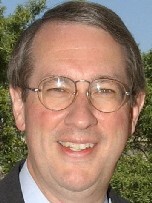 Rep. Bob Goodlatte (R-VA) and Rep. Rick Boucher (D-VA) were the primary House proponents of the CAFA in the 108th and 109th Congresses. See, for example, stories titled "House Passes Class Action Fairness Act" in TLJ Daily E-Mail Alert No. 680, June 13, 2003, and "Reps. Goodlatte and Boucher Re-Introduce Class Action Fairness Act" in TLJ Daily E-Mail Alert No. 619, March 10, 2003. Rep. Goodlatte stated back in 2003 that the CAFA "will help end the forum shopping abuses and resultant extortionate settlements that plague class action litigation today ... Presently, the only winners are the lawyers who may get a half-billion dollar payday. The Class Action Fairness Act will help ensure that real plaintiffs with real grievances are protected against settlements that give the lawyers millions and mere coupons to the consumers." Section 5 of HR 5503 amends the CAFA's definitions of "class action" to provide that the option to remove class actions to federal court "does not include an action brought by a State or subdivision of a State on behalf of its citizens". This exception would apply to all class action litigation, not just that involving oil spills, or even environmental cases generally. Also, for the large interstate class action cases actions that proceed in state court if this bill is enacted, the CAFA's limitations on abusive practices would not apply. Rep. Goodlatte (at right) offered an amendment that would have stricken Section 5. It failed on a roll call vote of 12-16. All of the yes votes were cast by Republicans. All of the no votes were cast by Democrats. Rep. Boucher did not vote on this amendment. However, he voted yes on the final vote to report the bill. Earlier, Rep. Lamar Smith (R-TX) offered an amendment to limit the scope of the bill to claims arising out of an oil spill. It failed on a roll call vote of 14-19. All of the no votes were cast by Democrats. All of the yes votes were cast by Republicans. Rep. Darrell Issa (R-CA) said that the view of the Democrats is that "no crisis should be allowed to go to waste". He elaborated that Democrats are taking "opportunistic advantage" of "people dying in the gulf" to revise unrelated tort law. Rep. Goodlatte debated with Rep. Mel Watt (D-NC) and Rep. John Conyers (D-MI) regarding the current state of the law on jurisdiction in class action and parens patriae lawsuits, and the effect and intent of Section 5 of HR 5503. Rep. Goodlatte argued that states currently can bring parens patriae actions in state court, and that HR 5503 would create loophole to the CAFA, because private litigants could bring class actions in state courts whenever they can get a state attorney general to join in the action. Rep. Watt argued that the bill would not have that effect. He added that he never liked the CAFA in the first place. Rep. Goodlatte also offered, but withdrew, an amendment that would have limited the CAFA exemption to suits involving oil spills. Rep. Conyers introduced this bill on June 10, 2010. The full HJC marked up this bill, without a full or subcommittee legislative hearing on the bill. 6/22. The Federal Communications Commission (FCC) released a Memorandum Opinion and Order (MOO) in which it denies Qwest Communications' petition for forbearance from application of certain provision of Title II of the Communications Act to its operations in Phoenix, Arizona. This MOO is FCC 10-113 in WC Docket No. 09-135. The FCC adopted this item on June 15, 2010, but did not release the text [67 pages in PDF] until June 22. The Free Press's Derek Turner stated in a release that "We are very pleased that the FCC decided to actually determine if the market was competitive before granting Qwest's petition for sweeping deregulation in the Phoenix market. This is a welcome change from the previous FCC's process of blindly granting forbearance petitions without actually analyzing the state of market competition." 6/23. Federal Communications Commission (FCC) Chairman Julius Genachowski named Josh Gottheimer to be Senior Counselor to the Chairman. The FCC stated in a vaguely worded release that Gottheimer will be "the Chairman's strategic advisor on a wide range of policy and legal matters. He will have oversight over the legislative, communications, intergovernmental affairs, and public liaison functions of the agency." He previously worked for the public relations firm of Burson-Marsteller. Before that, he managed advertising for the Ford Motor Company. He was a speech writer for Sen. John Kerry (D-MA) in 2004. He was a speech writer for former President Clinton from 1998 through 2001. Gottheimer replaces Colin Crowell, who had worked for many years for Rep. Ed Markey (D-MA) on communications legislation and FCC oversight at the House Commerce Committee (HCC) before joining the FCC. The FCC often seeks to portray itself as the "expert agency responsible for administering and interpreting the Communications Act" (Petition for Writ of Certiorari in FCC v. Brand X). Gottheimer is an expert in manipulating public opinion. 6/21. The Senate confirmed Mark Goldsmith to be a Judge of the U.S. District Court for the Eastern District of Michigan by a vote of 89-0. See, Roll Call No. 195. 6/21. The Senate confirmed Marc Treadwell to be a Judge of the U.S. District Court for the Middle District of Georgia by a vote of 89-0. See, Roll Call No. 196. 6/21. The Senate confirmed Josephine Tucker to be a Judge of the U.S. District Court for the Central District of California. 6/21. The Federal Communications Commission's (FCC) Public Safety and Homeland Security Bureau (PSHSB) announced the appointment of members of the Emergency Response Interoperability Center Technical Advisory Committee. See, release. 6/22. The Federal Communications Commission (FCC) adopted, and released a redacted copy [80 pages in PDF] of, a Memorandum Opinion and Order (MOO) that approves the transfer from Verizon Wireless (VW) to AT&T of licenses and business units in 79 markets. This item is FCC 10-116 in WT Docket No. 09-104. The FCC previously required VW to make this divestment in its proceeding on the acquisition by VW of Alltel. 6/22. The Federal Communications Commission's (FCC) Public Safety and Homeland Security Bureau (PSHSB) released a Public Notice (PN) requesting comments regarding the proposed budget of the Public Safety Spectrum Trust and corresponding annual lease fee for administration of the leases authorized by the FCC's May 12, 2010, Waiver Order. This PN is DA 10-1091 in PS Docket No. 06-229. The deadline to submit comments is July 9, 2010. 6/18. The Federal Communications Commission's (FCC) Spectrum Task Force issued a release [PDF] that states that the FCC will initiate a proceeding in July regarding mobile satellite service (MSS) bands, to provide "up to 90 MHz of additional spectrum for mobile broadband". The FCC's staff report [376 pages in PDF] titled "A National Broadband Plan for Our Future", released in March, states that "The FCC should accelerate terrestrial deployment in 90 megahertz" of MSS. It elaborates, at pages 87-88, that "The FCC should build on past efforts to enable terrestrial deployment in MSS bands. The MSS allocation consists of a significant amount of bandwidth with propagation characteristics suitable for mobile broadband. The FCC should take actions that will optimize license flexibility sufficient to increase terrestrial broadband use of MSS spectrum, while preserving market-wide capability to provide unique mission critical MSS services." The House will meet at 10:00 AM for legislative business. The schedule for the week includes consideration of HR 3993 [LOC | WW], the "Calling Card Consumer Protection Act", under suspension of the rules, and HR 5175 [LOC | WW], the "Democracy is Strengthened by Casting Light on Spending in Elections Act" or "DISCLOSE Act", pursuant to a rule. See, Rep. Hoyer's schedule for week of June 21, and schedule for June 23. The Senate will meet at 9:30 AM. It will resume consideration of HR 4213 [LOC | WW], the "American Jobs and Closing Tax Loopholes Act of 2010". This huge bill contains a one year extension of the research and development tax credit. 10:00 AM. The Senate Judiciary Committee (SJC) will hold a hearing titled "Oversight of the Office of the Intellectual Property Enforcement Coordinator". The witnesses will be Victoria Espinel (Intellectual Property Enforcement Coordinator), Barry Meyer (Ch/CEO at Warner Bros. Entertainment), Paul Almeida (AFL-CIO), David Hirschmann (U.S. Chamber of Commerce), and Caroline Bienstock (Carlin America). The SJC will webcast this event. See, notice. Location: Room 226, Dirksen Building. 10:00 AM. The Senate Finance Committee (SFC) will hold a hearing titled "The U.S. -- China Trade Relationship: Finding a New Path Forward". The witnesses will be Gary Locke (Secretary of Commerce) and Ron Kirk (U.S. Trade Representative). See, notice. Location: Room 215, Dirksen Building. 10:00 AM. The U.S. District Court (DC) will hold a status conference in US v. Microsoft, D.C. No. 98-1232 (CKK), and New York, et al. v. Microsoft, D.C. No. 98-1233 (CKK). Location: Courtroom 28A. 10:15 AM. The House Judiciary Committee (HJC) will meet to mark up several bills, including HR 5503 [LOC | WW], the "Securing Protections for the Injured from Limitations on Liability Act", HR 5281 [LOC | WW], the "Removal Clarification Act of 2010", HR 5566 [LOC | WW], the "Prohibiting Interstate Commerce in Crush Videos Act of 2010", and HR 1020 [LOC | WW], the "Arbitration Fairness Act of 2009". See, notice. The HJC will webcast this event. Location: Room 2141, Rayburn Building. 10:30 AM - 12:30 PM. The Federal Communications Commission (FCC) will host a public roundtable regarding "pilot programs that would provide support for broadband access to low-income consumers". See, Public Notice. To participate by teleconference, the call in number is 1-866-566-7390, and the participant code is 4732812. Location: FCC, Commission Meeting Room. 12:00 NOON - 1:30 PM. The American Bar Association's (ABA) Section of Antitrust Law will host an on site and teleconferenced panel discussion titled "Apple, Google and More: Recent Issues in Identifying and Addressing Problems Involving Interlocking Directorates". The speakers will be Yvonne Quinn (Sullivan & Cromwell), Andrew Finch (Paul Weiss), Pat Robinson (Federal Reserve Board), and Darren Tucker (Attorney Advisor to FTC Commissioner Thomas Rosch). See, notice. Location: Wilson Sonsini, 5th floor, 1700 K St., NW. 1:00 - 2:30 PM. The American Bar Association's (ABA) Forum on the Entertainment and Sports Industries will host a seminar titled "Network to Blog -- Old vs. New Media: What You Need to Know in Sports Deals". The speakers will be Douglas Hand (Hand Baldachin & Amburgey) and Maidie Oliveau (Arent Fox). See, notice. Prices vary. This event qualifies for continuing legal education (CLE) credits. The ABA will teleconference and webcast this event. 2:00 - 4:00 PM. The House Intelligence Committee's (HIC) Subcommittee on Technical and Tactical Intelligence will hold a closed hearing titled "Cybersecurity". See, notice. Location: Room HVC-304, Capitol Building. Day two of a two day conference titled "Critical Infrastructure Security Summit". At 10:15 AM, Annabelle Lee (NIST) will give a speech titled "Cyber Security Strategies For The Smart Grid". At 11:00 AM, James Gilsinn (NIST) and Russell Brown (FBI Cyber Division) will address "Achieving A Strong Security Posture & Maintaining Full-Scale Operability". At 3:00 PM, Donald Codling (FBI Cyber Division) will participate in a panel titled "Adapting Existing Public Key Infrastructure And Enablement Solutions To The Emerging Smart Grid Enterprise". See, conference web site, and June 23 agenda. Location: Hilton Alexandria Old Town, 1767 King Street, Alexandria, VA. The House will meet at 10:00 AM for legislative business. See, Rep. Hoyer's schedule for week of June 21. 8:30 AM - 5:00 PM. The American Antitrust Institute (AAI) will host a one day conference titled "Public and Private: Are the Boundaries in Transition?". Christine Varney, Assistant Attorney General in charge of the Department of Justice's (DOJ) Antitrust Division will give a speech at 9:00 AM. There will be a panel discussion on telecommunications at 11:00 AM. See, schedule. The price to attend ranges from $120 to $500. Location: National Press Club. 10:00 AM. The House Judiciary Committee's (HJC) Subcommittee on the Constitution, Civil Rights, and Civil Liberties will hold a hearing titled "ECPA Reform and the Revolution in Location Based Technologies and Services". See, notice. The HJC will webcast this event. Location: Room 2237, Rayburn Building. 10:00 AM. The Senate Commerce Committee (SCC) will hold a hearing titled "Universal Service: Transforming the High-Cost Fund for the Broadband Era". See, notice. The SCC will webcast this event. Location: Room 253, Russell Building. 10:00 AM. The Senate Judiciary Committee (SJC) will hold an executive business meeting. The agenda includes consideration of HR 2765 [LOC | WW], an untitled bill to prohibit recognition and enforcement of foreign defamation judgments and certain foreign judgments against the providers of interactive computer services. The SJC rarely follows its published agendas. The SJC will webcast this event. See, notice. Location: Room 226, Dirksen Building. 11:00 AM. The House Judiciary Committee's (HJC) Subcommittee on Commercial and Administrative Law will hold a hearing titled "Civil Division of the United States Department of Justice". Tony West (Assistant Attorney General in charge of the Civil Division) will testify. See, notice. The HJC will webcast this event. Location: Room 2141, Rayburn Building. 12:00 NOON - 1:00 PM. The American Bar Association's (ABA) Section of Antitrust Law will host an on site and teleconferenced panel discussion titled "Google/AdMob: Lessons from the FTC Investigation". The speakers will be Randall Long (FTC), Logan Breed (Hogan Lovells, counsel for AdMob), Leah Brannon (Cleary Gottlieb, counsel for Google), and Ken Glazer (K&L Gates). See, notice. Location: K&L Gates, 1601 K St., NW. 1:00 - 2:30 PM. The American Bar Association's (ABA) Forum on the Entertainment and Sports Industries will host a seminar titled "The Complex World of Licensing Songs and Composing Scores for the Television, Film and Videogame". The speakers will be Jeff Brabec (Chrysalis Music Group) and Todd Brabec. See, notice. Prices vary. This event qualifies for continuing legal education (CLE) credits. The ABA will teleconference and webcast this event. 2:00 PM. The House Oversight and Government Reform Committee's (HOGRC) Subcommittee on Information Policy, Census and National Archives will hold a hearing titled "Government 2.0: How Federal Agencies Use Social Media And Other Web 2.0 Technologies". See, notice. Location: Room 2154, Rayburn Building. 2:30 PM. The Senate Homeland Security and Governmental Affairs Committee (SHSGAC) will hold a business meeting. The agenda includes consideration of S 3480 [LOC | WW], the "Protecting Cyberspace as a National Asset Act of 2010", and the nomination of John Pistole to be head of the DHS's Transportation Security Administration (TSA). See, notice [PDF]. Location: Room 342, Dirksen Building. 6:00 - 8:00 PM. The Federal Communications Bar Association's (FCBA) Young Lawyers Committee will host an event titled "Happy Hour". For more information, contact Ben Arden at barden at williamsmullen dot com or Mark Brennan at mark dot brennan at hoganlovells dot com. Location: Brasserie Beck, 1101 K St., NW. Rep. Hoyer's schedule for week of June 21 states that the House will meet at 9:00 AM. 9:00 - 10:00 AM. The Department of Health and Human Services' (DHHS) Office of the National Coordinator for Health Information Technology's Enrollment Workgroup will meet by teleconference. See, notice in the Federal Register, June 16, 2010, Vol. 75, No. 115, at Page 34141. RESCHEDULED FOR JULY 30. 12:15 - 1:30 PM. The Federal Communications Bar Association's (FCBA) Young Lawyers Committee will host a brown bag lunch titled "Bridging the Gap: Broadband 101 -- An Introduction to Broadband Regulation and Policy". The speaker will be Dan Brenner (Hogan Lovells). For more information, contact Micah Caldwell at mcaldwell at fh-law dot com or Mark Brennan at mark dot brennan at hoganlovells dot com. 3:00 - 6:00 PM. The Federal Communications Commission (FCC) will host an event titled "Broadcast Engineering Forum". See, notice and agenda. Location: FCC, Commission Meeting Room, 445 12th St., SW. Deadline to submit comments to the Federal Communications Commission (FCC) and Food and Drug Administration (FDA) in advance of their joint meeting titled "Enabling the Convergence of Communications and Medical Systems: Ways to Update Regulatory and Information Processes", to be held on July 26 and 27, 2010. See, FCC Public Notice (DA 10-1071 in ET Docket No. 10-120). Deadline to submit initial comments to the Federal Communications Commission (FCC) in response to its Notice of Inquiry (NOI) [12 pages in PDF] regarding the survivability in broadband communications networks and ways to reduce network vulnerability to failures in network equipment or severe overload conditions, such as would occur in natural disasters and pandemics. The FCC adopted and released this item on April 21, 2010. It is FCC 10-62 in PS Docket No. 10-92. See, notice in the Federal Register, May 11, 2010, Vol. 75, No. 90, at Pages 26180-26183. 10:00 AM - 4:00 PM. The Department of Health and Human Services' (DHHS) Office of the National Coordinator for Health Information Technology's Enrollment Workgroup will meet by teleconference. See, notice in the Federal Register, June 16, 2010, Vol. 75, No. 115, at Page 34141. 12:30 PM. The Senate Judiciary Committee (SJC) will begin its hearing on the nomination of Elena Kagan to be a Justice of the Supreme Court. See, notice. Location: Room 216, Hart Building. CANCELLED. 2:00 - 4:00 PM. The Department of Health and Human Services' (DHHS) Office of the National Coordinator for Health Information Technology's Privacy & Security Policy Workgroup will meet. See, notice in the Federal Register, June 16, 2010, Vol. 75, No. 115, at Page 34141. 6:30 - 8:30 PM. The New America Foundation (NAF) will host an event titled "How Copyright Threatens Democracy". The speaker will be Cory Doctorow. See, notice and registration page. Location: NAF, Suite 400, 1899 L St., NW. Deadline to submit initial comments to the Federal Communications Commission (FCC) in response to its Notice of Proposed Rulemaking (NPRM) regarding amending Part 87 of the FCC's rules to allow use of the frequency 1090 MHz by aeronautical mobility mobile stations for airport surface detection equipment (ASDE-X), also known as vehicle squitters. The FCC adopted this item on March 11, 2010, and released the text [19 pages in PDF] on March 16, 2010. It is FCC 10-37 in WT Docket Nos. 09-42 and 10-61. See, notice in the Federal Register, April 28, 2010, Vol. 75, No. 81, at Pages 22352-22356. Deadline to submit reply comments to the Federal Communications Commission (FCC) in response to its Notice of Proposed Rulemaking (NPRM) regarding amending the FCC's amateur radio service rules to facilitate the use of spread spectrum communications technologies. The FCC adopted this item on March 11, 2010, and released the text [16 pages in PDF] on March 16, 2010. It is FCC 10-38 in WT Docket No. 10-62. See, notice in the Federal Register, May 14, 2010, Vol. 75, No. 93, at Pages 27272-27273. Deadline to submit reply comments to the Federal Communications Commission (FCC) in response to its 4th Further Notice of Proposed Rulemaking (NPRM) [30 pages in PDF] regarding its CableCARD regime. The FCC adopted and released this item on April 21, 2010. It is FCC 10-61 in CS Docket No. 97-80 and PP Docket No. 00-67. See, notice in the Federal Register, May 14, 2010, Vol. 75, No. 93, at Pages 27256-27264. Deadline to submit comments to the Federal Communications Commission's (FCC) Office of Engineering and Technology (OET) in response to its Public Notice (DA 10-1035 in ET Docket No. 10-123) regarding use of the 1675-1710 MHz band by non-federal entities, and its potential utility for broadband. Deadline to submit comments to the National Institute of Standards and Technology's (NIST) Computer Security Division (CSD) regarding its draft SP 800-126 Rev. 1 [71 pages in PDF] titled "The Technical Specification for the Security Content Automation Protocol (SCAP): SCAP Version 1.1". 8:00 AM - 5:00 PM. The Department of Health and Human Services' (DHHS) Office of the National Coordinator for Health Information Technology's HIT Policy Committee's Privacy & Security Tiger Team will meet. See, notice in the Federal Register, June 15, 2010, Vol. 75, No. 114, at Page 33811. Location: Grand Hyatt Washington Hotel, 1000 H St., NW. 8:00 AM - 3:30 PM. The National Science Foundation (NSF) will hold a partially closed meeting. See, notice in the Federal Register, June 22, 2010, Vol. 75, No. 119, at Page 35508. Location: NSF, 4201 Wilson Blvd., Conference Room 375, Arlington, VA.
9:00 - 10:45 AM. The Progress & Freedom Foundation (PFF) will host a panel discussion titled "Sending an Online Safety Message to Congress". The speakers will be Hemanshu Nigam (SSP Blue), Larry Magid (ConnectSafety.org), Michael McKeehan (Verizon), Adam Thierer (PFF), and Stephen Balkam (Family Online Safety Institute). See, notice. Breakfast will be served. Location: National Press Club, First Amendment Lounge, 529 14th St., NW. Deadline to submit reply comments to the Federal Communications Commission (FCC) in response to its request for comments on competitive bidding procedures for Auction 89, regarding 218-219 MHz and Phase II 220 MHz Services licenses, scheduled to commence on December 7, 2010. See, notice in the Federal Register, June 9, 2010, Vol. 75, No. 110, at Pages 32773-32778. 9:00 - 10:30 AM. The Information Technology and Innovation Foundation (ITIF) will host a book discussion. The speaker will be Clyde Prestowitz, author of the book [Amazon] titled "The Betrayal of American Prosperity". Location: ITIF, Suite 610a, 1101 K St., NW. 9:00 AM - 4:00 PM. The Federal Communications Commission's (FCC) Consumer Advisory Committee will meet. See, notice in the Federal Register, June 11, 2010, Vol. 75, No. 112, at Page 33305. Location: FCC, Commission Meeting Room. TIME? The Department of Health and Human Services' (DHHS) Office of the National Coordinator for Health Information Technology's HIT Standards Committee will meet. See, notice in the Federal Register, June 8, 2010, Vol. 75, No. 109, at Page 32472. Location: Marriott Hotel Washington, 1221 22nd St., NW. Extended expiration date of the U.S. Patent and Trademark Office (USPTO) temporary program titled "Patent Application Backlog Reduction Stimulus Plan". The USPTO stated that under this program "a small entity applicant may have an application accorded special status for examination if the applicant expressly abandons another copending unexamined application. The Patent Application Backlog Reduction Stimulus Plan allows small entity applicants having multiple applications currently pending before the USPTO to have greater control over the priority with which their applications are examined while also stimulating a reduction of the backlog of unexamined patent applications pending before the USPTO." See, notice in the Federal Register, February 1, 2010, Vol. 75, No. 20, at Page 5041. Deadline to submit comments to the Federal Trade Commission (FTC) regarding amending its rules promulgated pursuant to the Children's Online Privacy Protection Act (COPPA). See, FTC release and notice [18 pages in PDF]. Deadline to submit comments to the National Institute of Standards and Technology's (NIST) Computer Security Division (CSD) regarding its draft NIST IR-7298 Rev. 1 [207 pages in PDF] titled "Glossary of Key Information Security Terms". The Federal Communications Commission's (FCC) 2009 Separations Freeze Extension Order is scheduled to expire. See also, Public Notice released on March 30, 2010. It is FCC 10J-1 in CC Docket No. 80-286. Deadline to submit requests to present papers at the New America Foundation's (NAF) and Penn State University's Institute for Information Policy's conference on September 28-30, 2010, titled "The Broadband Act of 2011: Designing a Communications Act for the 21st Century".